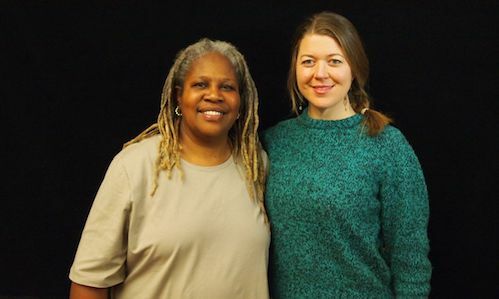 CASFS Farm & Garden Apprenticeship graduates Karen Washington and Molly Rockamann emphasize the importance of community organizing and political engagement in the sustainable ag movement. Karen Washington is co-founder of Rise & Root Farm in Chester, New York. She splits her time between her farm and the Bronx, where she's known for her community gardening initiatives. Karen will be in conversation with Molly Rockamann, founder of EarthDance urban farm in Ferguson, Missouri, a suburb of St. Louis. Listen to the podcast with Karen and Molly, part of the "Our Farms, Our Future" series produced by the Sustainable Agriculture Research and Education program (SARE).